In line with the United Nation World Tourism Organization’s Global Ethics for Responsible Tourism, I am committed to responsible tourism that benefits local communities and is respectful of the nature, religions and culture of the place. When you hire me as your guide you will be working with someone committed to the land, environment and people, to tikkun olam, the healing of our world. Here are some suggestions about what you/we can do. When hiking take a plastic bag so that you can carry out your garbage. If you come across plastic bottles, bags, tins that others left behind add them to your garbage. Leave every place cleaner than you found it. Take a spork (spoon/fork) and knife, a bowl and cup with you so you won’t have to use and then throw out disposable plastic. Israel is hot so it is important to drink to prevent dehydration. It’s not necessary to buy bottled water (save the plastic bottle), the water in Israel is fine to drink. Handling all the plastic (bottles, bags, packaging) puts a strain on Israel’s resources. Israel has a bottle law, you pay a deposit on wine and beer bottles, aluminum cans and small plastic bottles – these should be returned to a supermarket that will give you your deposit back and recycle the material; alternatively, leave these where people can collect them and get the money for returning them. Israel recycles large plastic bottles, paper and cardboard so make the effort to recycle these items in the appropriate wire cages and containers on the street. Conserve water! 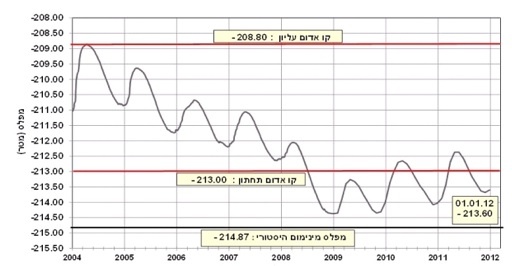 With climate change Israel has had less rain and the Sea of Galillee, the main fresh water reservoir is low, below the red line. Shut the water while taking a shower and while brushing your teeth, use the half-flush on the toilet. 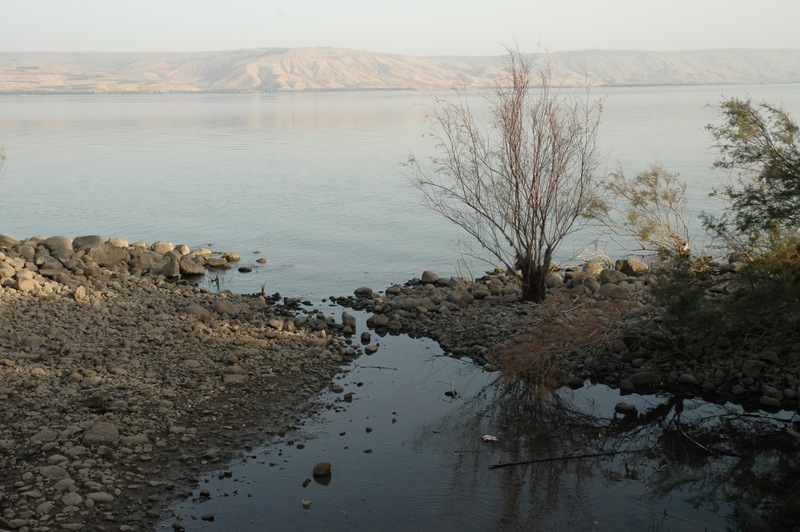 Plant a tree in Israel by contacting the JNF/KKL (to help offset your carbon footprint and fulfill the Biblical commandment from Lev 19:23, When you come to the land and shall have planted all manner of trees for food…). Since its inception in 1901, the JNF has planted over 240 million trees, built 180 dams and reservoirs, developed 250,000 acres of land and established more than 1,000 parks. To plant a tree with your own hands in the soil of Israel contact the JNF/KKL to make arrangements for your family or group (give them at least a weeks notice) at (02) 658-3449 or via email michalh at symbol kkl.org.il If you have less than 7 people you can call the appropriate forester directly. For planting in the Jerusalem area (Aminadav forest), contact Aviram at 054 622-6213 and for planting in the north (Lavie forest), contact Yossi at 050 546-9069. You can also check the JNF/KKL website. 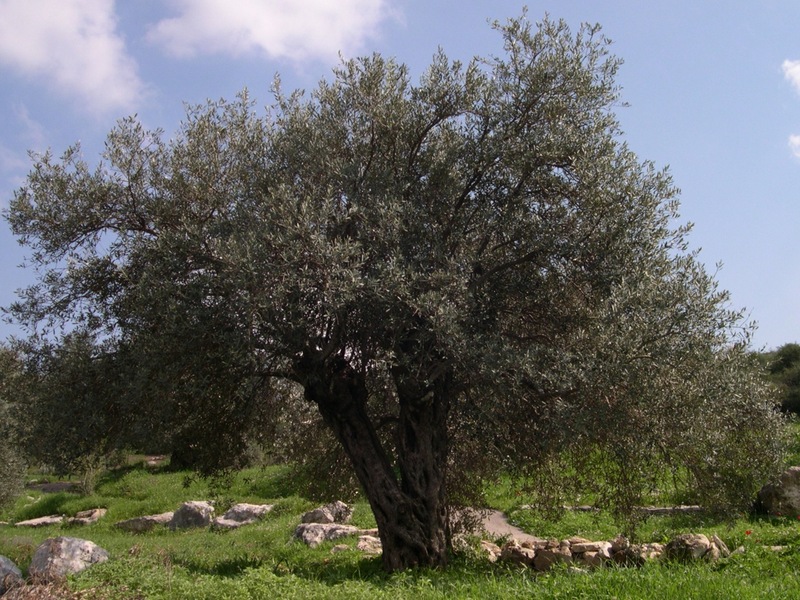 To plant an olive tree at Neot Kedumim, the Biblical Landscape Reserve, go to their website. Travel by public transportation, rent a bike and walk when convenient. Eat at restaurants that have a Tav Hevrati, “a seal of excellence that certifies business for upholding fair labor laws and implementing handicap accessibility measures. It rewards businesses that act ethically towards their workers, thereby promoting righteousness and justice in accordance with the values of justice and ethics in the Jewish tradition.”. Hire a knowledgeable, local guide licensed by the Israel Ministry of Tourism. Choose to take a walking tour. Visit local conservation or social projects on your trip and find out how you could help support them. How are you? Ma shlomkha? Kif halek? You can check out this website for Hebrew and Arabic words and phrases that could come in handy. Please visit the ResponsibleTravel website for more suggestions on how to be a responsible traveler. This entry was posted in Nature, Water and tagged eco, eco tourism, ecotour, israel tour guide, postaweek2011, recycling, responsible travel, tree planting, water conservation on January 12, 2012 by Shmuel Browns.